Harley Live is a website all about the live bars, live clubs and live music events in Sheffield, England. Sheffield is a city in South Yorkshire with a history of musical creativity. From cult acts such as Cabaret Voltaire, formed in 1973 and among the most innovative and influential electronic groups of their era, through to crossover stars such as Pulp and Arctic Monkeys, the city has produced musicians with significant influence. Sheffield’s music is able to flourish because the artistic community is fiercely independent and clever, which was critical in enabling the industry to rebuild after being hit hard in the recession of the 1980s. Most of the city’s current popular live music events began as small enterprises, including Yellow Arch Studios, Site Gallery, Tramlines Festival and Regather. 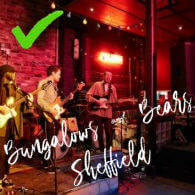 With live bars and live clubs catering to an array of music lovers, Sheffield is able to support around 15 specialist record labels from Black Beacon Sound to Off Me Nut, Parallax Unknown to Delicious Clam. Whilst Harley Live’s main focus is live music events in and around Sheffield, including the Tramlines Festival and shows at The Harley, Queens Social Club, Skate Central Roller Rink, City Hall and the Cathedral, this website also includes popular places for music lovers to visit locally and globally to find out the history of the genres. It includes music events to attend both in the UK and abroad, including live music bars and clubs in England and further afield. The aim of the website is to support independent and unsigned artists as well as established musicians from all genres everywhere, but most particularly in Sheffield. When it comes to music Sheffield has a strong foundation. Well-known bands based in the city include Arctic Monkeys, Pulp, The Human League, Def Leppard and Bring Me The Horizon, whilst at the same time Sheffield has a flourishing underground dance music community. With a broad base of strong musicianship, and with strong promoters of live events, including Harley Live, it is not a surprise that Sheffield is able to host several music events and concerts, with music from all genres open to all. Here we look at some of the Sheffield music events not to be missed. 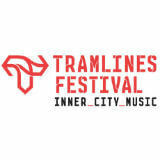 Tramlines is Sheffield’s biggest city music festival taking place at the Hillsborough Park in 2018, where up to 100,000 people will be watching world class music events across 4 stages. The line-up will be released on 5 March 2018. Tickets are being sold in three tiers with the first and second tier sold out within days. The first headliners announced for 2018 line-up are Stereophonics, Noel Gallagher's High Flying Birds and Craig David's TS5. Others confirmed are Blossoms, De La Sou, Jake Bugg, Pale Waves, Gengahr, Redfaces, The Orielles, Neon Waltz, Bobii Lewis, Naaz, Mullally, Stereo Honey, Bang Bang Romeo, Patawawa, The Seamonsters, Wulfman Fury, Mr Motivator – Rhythm Of The 90s and many more. 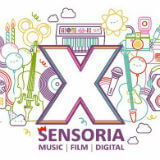 Taking place each autumn, Sensoria is the UK's festival of music, film and digital media at venues across Sheffield city. The festival is innovative, informative and informal. 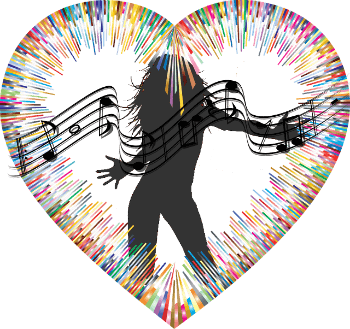 Here you will hear an eclectic programme of concerts since Sensoria aims to inspire and encourage mavericks and pioneers to get their music heard. Sensoria has also created the Sheffield Music Map app which features a range of locations, venues and sites of interest related to Sheffield's rich music scene, past and present. Started in 2008, Sensoria has attracted multiple award-winning professionals from all over the world. Guests have included Bill Drummond, Jarvis Cocker, Nitin Sawhney, Richard Hawley, Mark Kermode and many more. 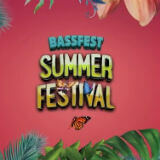 Hosted by the Baseline Festival, Bassfest is an all-day outdoor festival in August at Sheffield Parkway for 2018. There will be 5 vast stages and more than 100 artists. The line up for 2018 is being released on Thursday, 8 March. Musical commentators have observed something of a revival of the bassline genre in 2017, with the increasing popularity of the Bassfest festival and the emergence of new producers pursuing a sub-bass driven style. 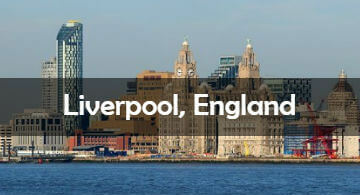 One of the most popular destinations for music lovers of the Beatles, who in the 1960s began what was to be a musical revolution, is Liverpool. 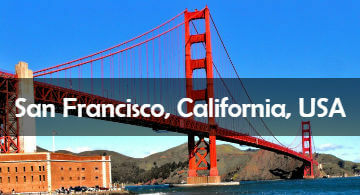 Many well known musicians began their musical careers here, including Janis Joplin, the Rolling Stones and the Grateful Dead. 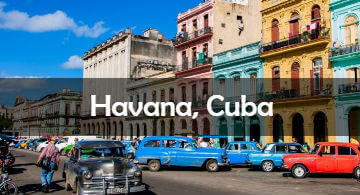 Travel to Havana for more of the same, along with Latin Jazz, timba and rumba which can be heard in the city’s streets and bars. Not only a tropical vacation spot, but also the home of Soca. Time your vacation to take in the New Orleans Jazz Festival. An annual performance season runs from September to June. Once a fire station the Bungalows and Bears bar and restaurant is a spacious venue perfect for hosting live music. 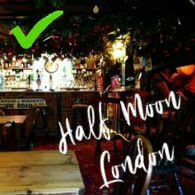 Everyone wants Half Moon on their gig schedule because of it’s esteemed history. 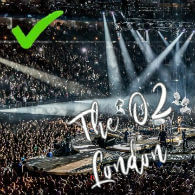 The largest music venue in London has hosted almost all the current greats from Adele to Led Zeppelin.